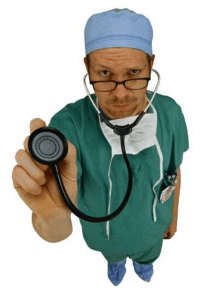 When is the VA required to offer a VA Compensation Exam? You will often hear that the VA is required to offer a C&P Examination toVeterans seeking compensation for a service-connected disability. It is true that, as part of the VA‘s Duty to Assist, it may have to offer an examination to the Veteran seeking compensation or benefits. The BVA issued a recent decision in which it found that a Veteran was not entitled to a C&P exam for the portion of his claim having to deal with leukemia – because there was no evidence of a diagnosis of leukemia. …equivocal or non-specific medical evidence, credible evidence of continuity of symptomatology, lay statements of pain and other symptoms, etc. Why Wouldn’t the VA offer a Compensation Exam (C&P Exam)? the Veteran didn’t provide enough information to trigger the Duty to Assist. If your claim for disability compensation was denied, and you did not receive a C&P examination from the VA, it is more likely than not that the VA made an error. And then there is always the BIG problem in VA Compensation and Pension Exams…. That problem is that the VA doctors that are assigned to do them RARELY have expertise in the medical condition that they are evaluating. Many VA Compensation and Pension Exams are – in my opinion and experience – “junk science”. Or the VA just sends you to someone that shouldn’t be rendering an opinion in the first place – someone like a nurse or a med school intern. 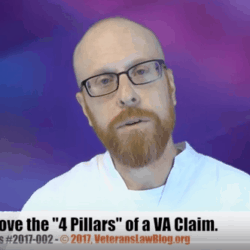 How do you start to find these errors – or more important…..
How does a Veteran Go About FIXING His/Her Own VA Claim? 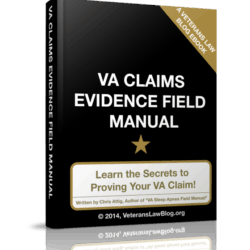 One of the top posts on the blog is where I teach the 8 Steps to Improving Your VA Claim. 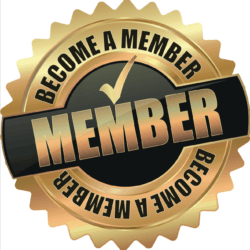 Have you seen the Veterans Law Blog Bookstore? 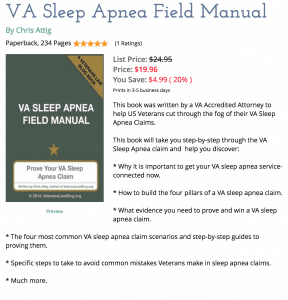 I have published over a dozen books and videos – all designed to EMPOWER the Veteran in filing, developing and proving their OWN VA Claim. Prepare for your VA C&P Exam – read my 3-part series with 10 HUGE tips to help you be ready to go for your C&P Exam. Thanks for the compliment. That is the idea – educate Veterans, because the VA isn’t. Information is power, my friend! The va did back surgery on me at the end of august i had my c&p exam in feb but it didnt include my back im still waiting for compensation for my surgery i made aclaim for my back in april of 2014. This is very informative information! My VSO had put me in for a C&P exam back on October 28, 2013. It is for the disabilities I have a 0% for. Do you think I will get an exam for this and if so when? I have called the appointment line and keep checking my mail box but have not seen or heard anything fom VA. I am going out of town to visit family in NC from Dec 14-Jan 5. I don’t want to miss my appointment if I get one. Depending on the medical conditions involved, the C&P might be scheduled by the VA Regional Office, or by the nearest VA Medical Center. And, depending on the condition, your C&P Exam may be scheduled with a VA Doctor or a doctor that contracts with the VA. For these reasons, its impossible to tell when you will get an exam scheduled. I have seen them scheduled in 2 weeks, and sometimes it has taken 2 years. 1) Keep calling — and MORE IMPORTANTLY — document your phone calls. Write down who you talked to, when you talked to them, and what they said. Be VERY clear that you will be out of town and repeatedly request, in writing, that no C&P Exam be scheduled during your out-of-town dates. Send a fax to the VA Regional Office immediately after each call, and ask that they include each fax in your C-File. 2) Have a friend watch your mail for you while you are out of town. I have seen vets get as little as 2 weeks notice on a C&P Exam, and on occasion, we’ve scheduled them on much shorter timelines. You can call and reschedule when you get the notice (which you should also document in writing to the VA). 3) Consider using a Disability Benefits Questionnaire through your private doctor or VA Doctor – if your condition has one. They can be a good substitute for a C&P Exam. Read about VA Disability benefit Questionnaires (DBQ) here.